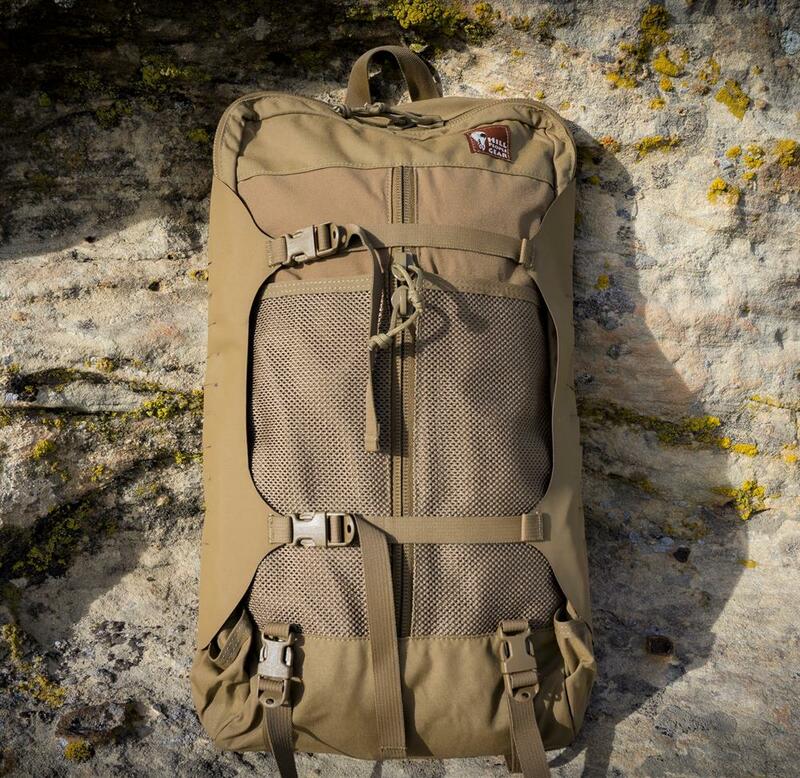 The Connor is the successor to our Highlander Pack. It is our largest compression pocket, suitable for use on the Ute and larger packs. At the same time, it can be set up as a much better carrying pack than the Highander could. 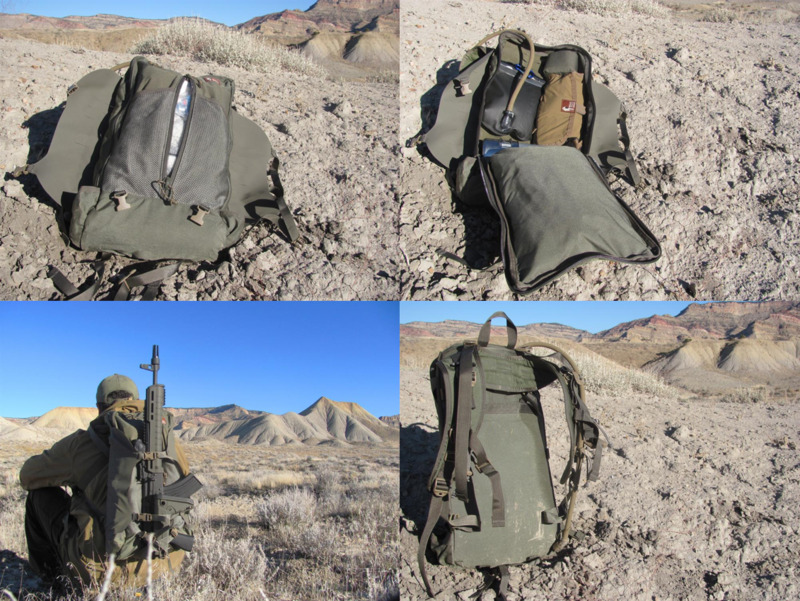 • Large main dimensional pocket fully lined with First Spear's 6/12 PALS cut velcro loop fabric lets you create whatever organizational system you want via MOLLE and Velcro. • Center zip outer pocket with stretchy tweave fabric on the outside expands as you stuff it. • Twin outer mesh pockets on either side of the center zip. Meant for drying your socks on the trail. Sized to take a bike bottle size bottle. • Hypalon compression wings can be folded underneath for use on the Ute pack or brought around to the front when the Connor is used stand alone. The wings have a 2 columns of MOLLE grid cut into them for additional pouches either inside or outside of the wings. • Dual mini-wand pockets are just big enough to accept bike bottle sized bottle, but excel for smaller items like trekking or fishing poles. • Generously long bottom compression straps. • Stay pocket is accessible from the suspension side. Can be used to store other flat items if desired. • Harness mounting points are midway up the back to allow for a wide range of torso lengths. • Includes (2) ITW repair ladderloc buckles. In pack mode, they are used for the load lifters. In pocket mode, they can be used on the very bottom tabs to tie into the bottom most compression straps on other packs like the Hill People Ute Pack.